On the banks of the Nehalem River sits a 1930s farmhouse. It’s tucked away on Highway 53, surrounded by lush vegetation of the valley. Inside, Ginger and Brigham Edwards brew tea. It’s a far cry from preparing a supermarket teabag. The water is warmed to 180 degrees. A mixture of teas is selected for optimal nourishment. It steeps for only a few minutes. And then, it’s time to sit. Sit and watch the river run by. Sit and melt into the lush valley. Sit and watch the very tea in your cup, grow in the garden. Ginger and Brigham’s North Fork 53 Coastal Retreat and Tea Gardens, located just 10 minutes outside of Nehalem, is the first farm to grow tea commercially on the West Coast. And of only 12 in the entire country. In 2007, Ginger began sustainably farming a small plot of land in Nehalem with hand-sown carrots and potatoes. In 2015, her and Brigham purchased the North Fork 53 farmhouse that was originally an 1895 homestead. Milk from the farm would be loaded onto boats on the river and sent downstream to the Mohler Creamery. Rich with history, the North Fork 53 draws in visitors and those seeking rejuvenation on the Oregon Coast. Currently 250 tea plants grow on the three acre property, but their goal is to have 1,000. 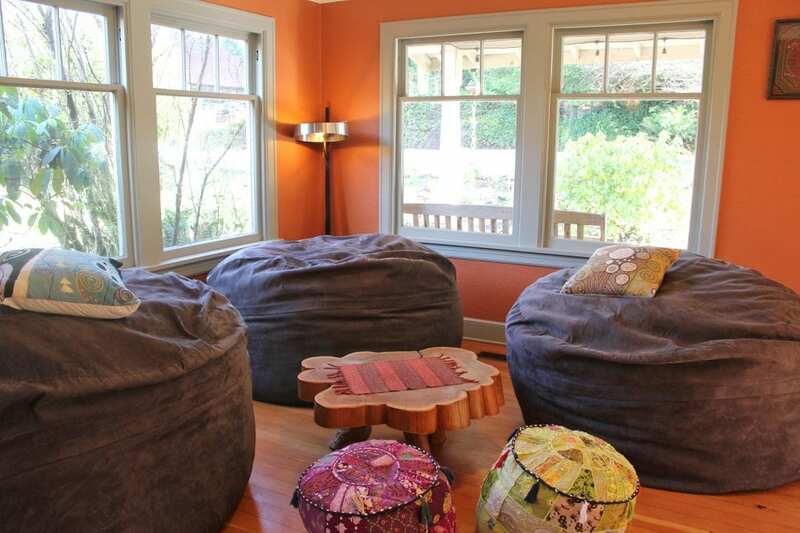 The home features four rooms that can be rented our individually or for group trips. While staying at the Retreat Center, visitors can tour the tea gardens and are welcome to sample the bounty from the tea bar. If you can’t get to North Fork 53, they’ll send their tea to you. 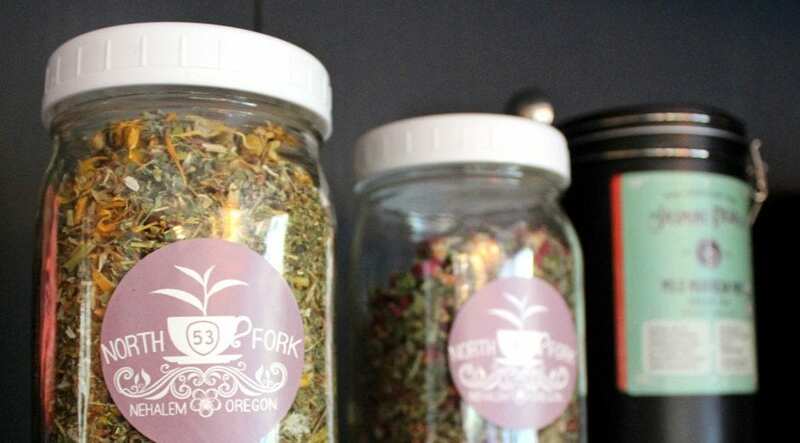 With Communitea Subscription, you will receive the tea of the month straight from Nehalem, to wherever your front door is. Seed to sip every time. 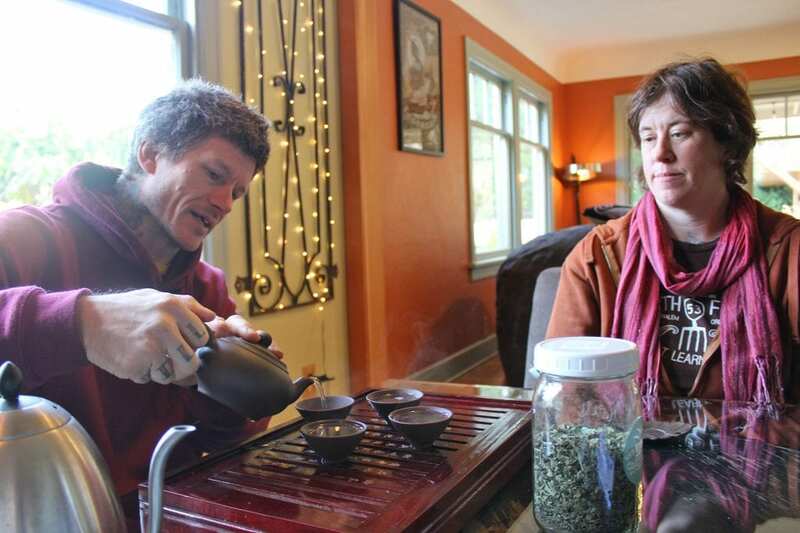 Ginger and Edward’s unique crop has put them on the map with journalists flocking to Nehalem to see what tea-growing in the Northwest is all about. North Fork 53 has been featured in publications in Portland, Seattle, San Francisco, the LA Times, and most recently 1859 Magazine. “Our goal is to get as many people to taste it as possible,” Ginger said. North Fork 53 Blends are available to purchase at Dough Dough Bakery in Seaside, Manzanita News and Espresso, and at the Manzanita Farmers Market during the summer months. Book to visit North Fork 53 online.